Welcome to my website. 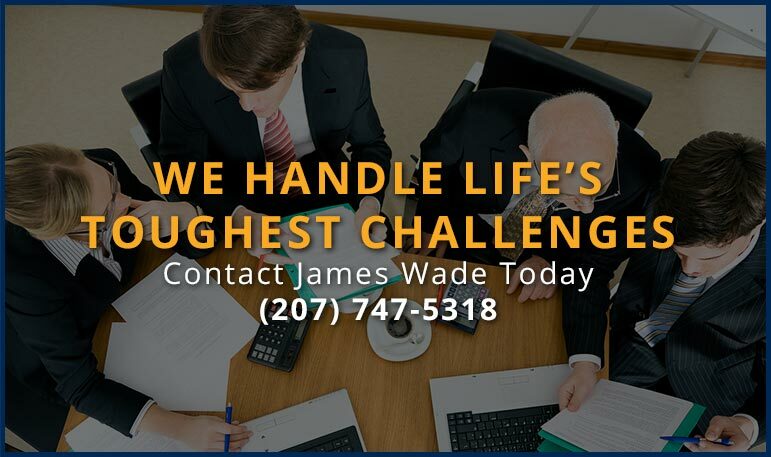 The Law Office of James D. Wade provides legal services to individuals and small businesses regarding their tax, business and bankruptcy needs. In good times or bad, I am here to protect my clients’ financial lives. My goal is to become a trusted advisor for my clients, someone they can turn to with questions or when they need to deal with a problem. Maybe I can be that trusted advisor for you? Have a tax question? Not sure what business entity best suits your start-up? Have a problem with the IRS? Or you are concerned about your debts? I can help! In fair weather or foul, I am here to assist you achieve the best outcome possible. If you want to read more about how I can serve you, click on the links shown above. You can also read my blog where I talk about things that interest me related to business, taxes or bankruptcy; my hope is that you will find useful information that can help you with your particular situation. Thank you for stopping by and if you have any questions or want to speak with me about your situation please call me or fill out the contact form. Thank you so much for all of your work for my bankruptcy! The outcome could not have been better! Very professional & extremely knowledgeable! You won't be disappointed! My husband and I were thrilled with our experience with James Wade. From the first phone call, he was kind, knowledgeable, and compassionate towards our financial situation and need of filing bankruptcy. James was efficient in explaining the procedure and was readily available when we had questions. If he didn’t answer right away, there was always a call back or an email soon after. The meeting with the bankruptcy trustee was painless with James on our side! He came OVER prepared, and my husband and I felt extremely confident answering the trustee’s questions on our somewhat complicated case. James was worth every penny and now we can have a fresh financial start. We can’t thank him enough! With the overwhelming and complicated paperwork that goes into bankruptcy, you want to hire James to get the job done right. I engaged Jim Wade earlier in 2018 to represent me in an IRS collection case arising out of several years of unpaid personal federal taxes, and was impressed by his professionalism, knowledge of tax laws, and experience in representing taxpayers before the IRS. At our first meeting he explained clearly the IRS collection process and recommended a number of steps I should take to put our position in the best possible light. He worked closely with me to gather all necessary information and formulate an offer of a repayment plan for the nearly $360,000 I owed in unpaid taxes, penalties, and interest. He met personally with the IRS case agent on my behalf and was able to get an agreement for the exact plan we’d hoped for. He further recommended that we attempt to get an abatement of some of the penalties and interest, and ultimately was successful in knocking about $70,000 off the amount due. An incredible result! Throughout the process Jim proved incredibly knowledgeable and adept at dealing with the IRS. I’m certain that his cooperative and conciliatory demeanor contributed to my case’s being settled through easy and early negotiations. Jim always was incredibly easy to reach with any questions or concerns, and kept me and my family up-to-date at each step in the case. His help extended, though, beyond just dealing with the narrow issue of the unpaid taxes. He additionally guided me on steps to take, including a referral of reputable accountants, to avoid future tax issues. I had the feeling throughout the whole process that Jim really cared about our case and us individually, and the incredible results certainly confirm that. Jim will be my first contact if I ever need legal services again, as I know he’ll give me the guidance I need whether it’s strictly within his field of expertise or not. He’s a fantastic attorney and person. This attorney was extremely helpful in guiding us through the process from beginning to end. He was patient and kind and when I did not know where to find information needed he lead me to right place. I could not have asked for a better person to assist us during our own difficult times. Answered questions. Very receptive. Will see him in the future. I had no problems or had to worry about anything. My case was taken care of with out any problems. Any questions I had was answered quickly and explained thoroughly, and as little as I know about taxes there were a lot of questions. Highly recommend Mr. Wade! Helped me out through a tough time and made sure I had all the paperwork needed for my bankruptcy. Follow up was amazing - very quick. Answered all my questions quickly. I would highly recommend James Wade. Jim is amazing. His attention to detail is unmatched. Jim will do whatever it takes to insure a positive outcome. His knowledge and experience are two of his biggest assets for helping clients. In a day where communication is often a strain, Jim breaks down that barrier and kept us informed at all times. After our first meeting with Jim, we knew we had made the right choice for our needs. Jim leaves nothing to chance and is relentless towards achieving the desired result. The world needs more lawyers like Jim Wade. I would recommend his firm to anyone who needs help in taking care of and resolving any tax issues they may have no matter how big or small. My husband and I were looking to qualify for an offer in compromise with the IRS to pay off taxes that we owed. We hired Mr. Wade for a very fair price. After he investigated and crunched the numbers in every way possible to help us, he concluded that we would not qualify. His commitment to helping us did not end there. He continued to work with us to pay off our taxes, offering his expert advice. He answered all our questions thoroughly and continued to help us see this through to the end. We are very grateful for all of his hard work, his knowledge in tax law, and his full commitment to us as his clients. I would recommend his firm to anyone who needs help in taking care of and resolving any tax issues they may have no matter how big or small.